Do you reach for Facebook as soon as you wake up in the morning? Pick it up again multiple times in the day? Do you check it last thing before you go to bed? Do you feel low or just blah after scrolling and scrolling and comparing yourself to everyone you see on Facebook? Facebook is a fabulous tool to be able to keep in touch with people. It’s also a great escapism from the day-to-day grind. But it can also be a big source of procrastination. 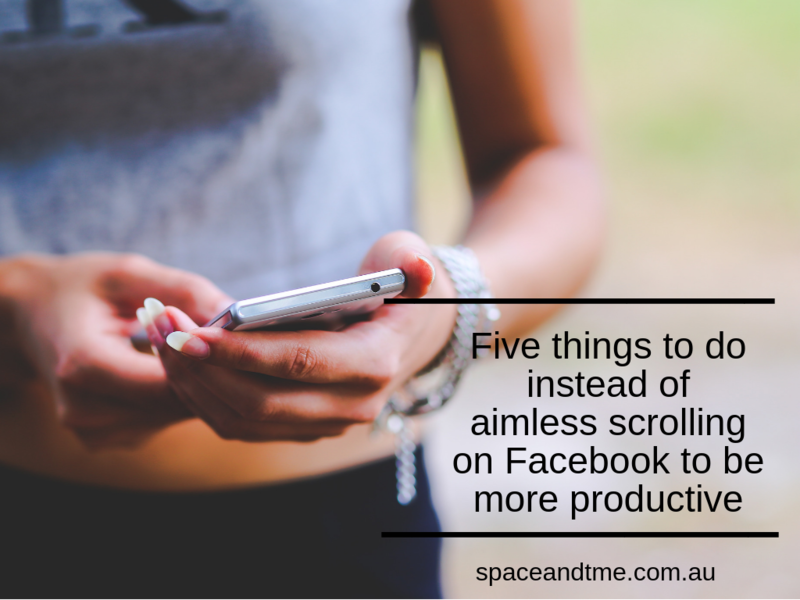 Here are five things you can do instead of scrolling endlessly on Facebook to be more productive . Put on a timer, do a brain dump of things to do. Find the most important task on that list and do the very next action associated with that important task. You be surprised how much you can get done a couple of times a week in the time he would normally be scrolling on Facebook. Follow this link to learn how to create a next-action to-do list. For the amount of time that you would often sit on Facebook get up and get outside. 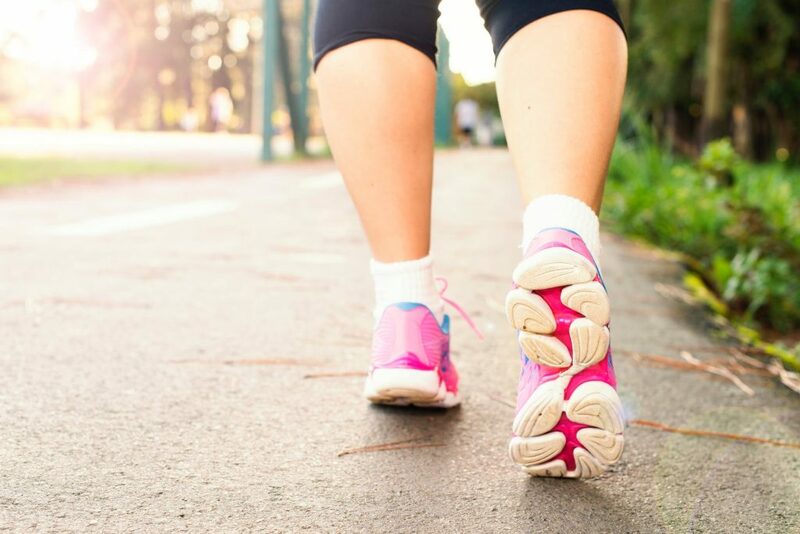 How many steps can you clock up in a week? Find a motivating and inspiring podcast to listen to instead of reaching for Facebook. My faves for business are The Influencer Podcast, Goal Digger The Podcast with Jenna Kutcher and RISE podcast with Rachel Hollis,. The last thing I want to point out to you is to allocate time to be on Facebook. Set a timer and be specific about what you’re looking at. Rather than scroll through your feed, look up your favourite people so you can see what they’ve been up to for the day. We all say we are so busy, let’s tweak your day so you can use your time more wisely. Less time on Facebook will make you feel more energised, repeating your affirmations will help you reach your goals and by actioning your to do list you’ll get more done. Go on, give it a go today. ← Dear Grandparents- please stop giving the children So. Much. Stuff!